Letters From A Tapehead: Tortoise: "Gesceap"
All information has been brought to you by the great people at Thrill Jockey Records. Revered Chicago-based instrumental group Tortoise, comprised of Dan Bitney, John Herndon, Doug McCombs, John McEntire and Jeff Parker, have spent 25 years making music that defies description. While the quintet have nodded to dub, rock, jazz, electronica and minimalism throughout their acclaimed and influential six-album discography, the resulting sounds have always been distinctly their own. It’s a fact that remains true on the hotly anticipated forthcoming new album The Catastrophist, due out 22nd January via Thrill Jockey and Tortoise’s first studio album in nearly seven years. They have conjured sounds that aren’t being purveyed anywhere else in music today. Recorded at McEntire’s famed Soma Studios, it’s an album where moody, synth-swept jams like the opening title track cosy up next to hypnotic, bass-and-beat missives like “Shake Hands With Danger” and a fantastic cover of David Essex’s 1973 hit song “Rock On” sung by U.S. Maple’s Todd Rittmann. Throughout, the songs on The Catastrophist transcend expectations as often as they delight the listen’s eardrums. Rock On isn’t the only vocal moment on the album. Yo La Tengo’s Georgia Hubley distinctive tones are on the bittersweet classic soul/R&B vibe ballad “Yonder Blue”. This also marks the first time a Tortoise album will feature a guest vocalist singing original lyrics. “Gesceap”, the first track which you can hear from The Catastrophist, is a stunning seven-minute long, minimalist rhythmic piece, morphing from two gently intersecting synth lines into a pounding, frenzied full-band finish. There’s a deeply intuitive interplay between the group that comes only from two decades of experimentation, revision and improvisation. At a time when our minds are constantly bombarded by myriad distractions, The Catastrophist reminds us that there’s something much greater out there. All we have to do is listen. Tortoise announce first leg of European tour starting this February. Full list of dates can be viewed below, with more dates planned throughout the rest of 2016. 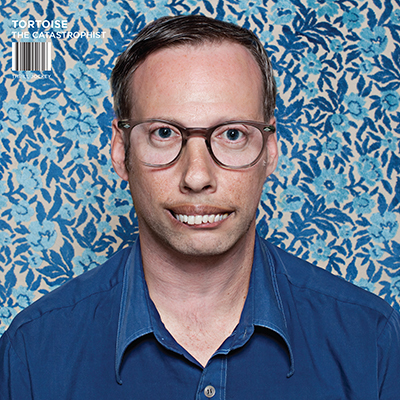 The Catastrophist will be released on 22nd January and available on CD / LP / DL.